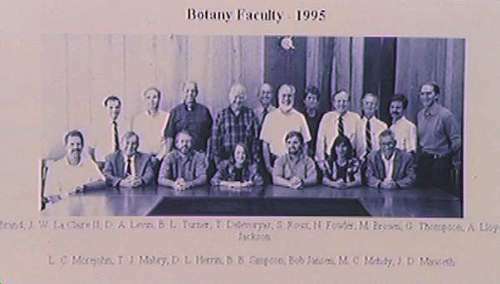 Here is the Botany Faculty in 1994. Not much change, yes, except for the more casual dress! RMB is standing the 4th from the right (he still wears a tie, but it is one of those clip-on affairs- a hold-over from Dr. Bold who wore these).